$25 per person or $45 per pair, bring a friend and save! Cheri Fraaza will be teaching a beginning sewing class just in time for Mother’s day. Here’s a chance to learn a skill, make a memory and spend a few hours laughing and learning with someone you love. Do you have a sewing machine but don’t know how to use it? Spend time with someone you love learning or sharing a new skill! 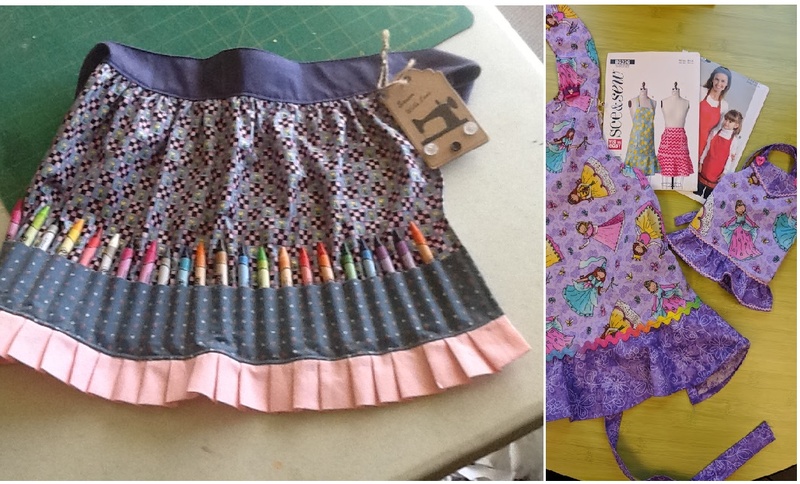 In this fun and informative class, you’ll make an apron, or matching aprons! Bring your daughter, your granddaughter, your sister or make it a girls day out! Guys are welcome too! Bring your sewing machine to class, some thread, scissors and sewing pins. Cheri will you show you the basics and will have a couple of machines for use as well. Purchase your own material or Cheri can provide material for a fee. * Our friends at Fabrications in Richland are giving a 20% discount to those who purchase their supplies at their store! Wow! They’re located in the Bell Tower Plaza opposite Mission Pointe. *Materials list will be provided on this page, please don’t purchase material until we know if we have enough registrations.